Instituto Atletico Central Cordoba (La Liga) agreed terms with 28-year old American swingman Glen Rice Jr. (198-93kg-91, college: Georgia Tech). He started the season at Aaguacateros in Mexican LNBP. In four games he had very impressive stats: 24.3ppg, 6.3rpg, 4.5apg and 2.5spg this season. Part of last summer Rice spent at Reales (LNB) in league where in four games he recorded 12.5ppg, 6.3rpg, 4.8apg and 1.3spg. 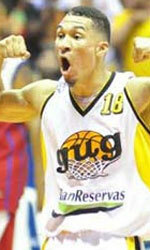 He also played for Humacao Caciques (BSN) in league. In two games he averaged remarkable 21.5ppg, 5.0rpg, 4.0apg and 3.5spg. In 2012 Rice was drafted by Rio Grande Valley Vipers (D-League) in fourth round (55th overall). The former Georgia Tech standoutis in his seventh season in pro basketball. 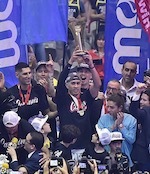 The list of the past achievements is quite long as among others Rice won Dominican Rep. LNB championship title in 2018. He was also voted Latinbasket.com All-Mexican CIBACOPA Player of the Year and Latinbasket.com All-Mexican CIBACOPA Import Player of the Year in 2017. Rice is quite experienced player. His career allowed him to visit four different continents, while he played in eight different countries. Rice tasted the life as pro basketball player in Europe, Asia, Latin America and of course North America. He has played previously professionally in Israel (Hapoel Holon), Philippines (TNT Ka Tropa), Puerto Rico, NBA (Washington Wizards), NBA G League (Fort Wayne Mad Ants), El Salvador (Halcones) and UBA (Georgia Spartans). On Rice: Wing player who is characterized as a "point-forward" … Excellent feel for the game learned from being around the game and his ultra-successful father from an early age … Has good court vision and an improving jump shot … Long arms allows him to get his hands on lots of balls defensively for steals and blocks.